Provide your living room with ample space for your friends and family to gather by adding this stationary sofa to the decor. 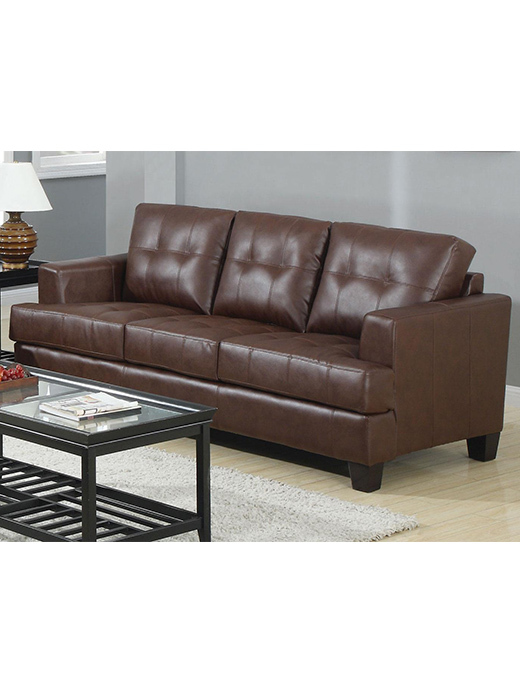 The piece carries a dark brown bonded leather upholstery and features attached seat cushions with tufted detailing. In addition, the slightly tapered arms and exposed wood block feet add a sense of character to the overall look. You’ll be set with this stationary cushions in your home. With clean lines and effortless style to spare, the Samuel collection is sure to please. 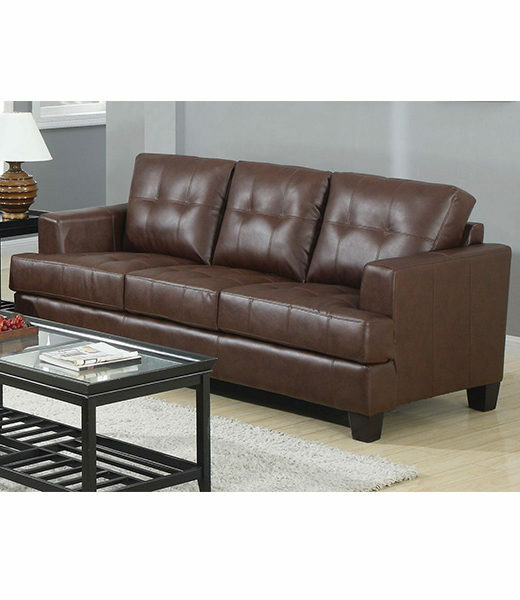 The pieces carry a dark brown bonded leather upholstery and feature attached seat cushions with tufted detailing. In addition, the slightly tapered arms and exposed wood block feet add a sense of character to the overall look. Plus, the sleepers will allow space for guests to spend the night without having to sacrifice a bit of fashion. There will be a lot to like with the Samuel collection in your home.